Hi there,I saw your ad on CL. I am in desperate need of something in the way of wire storage and it sounds like a great deal. 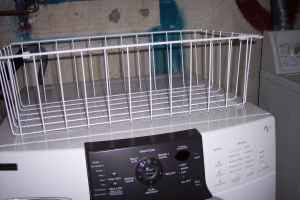 However, I think that you must have posted the wrong photo since the thing in the photo you posted would be absolutely useless for wire storage, the pieces of wire would fall through the holes.Please send a picture of the real wire storage basket.